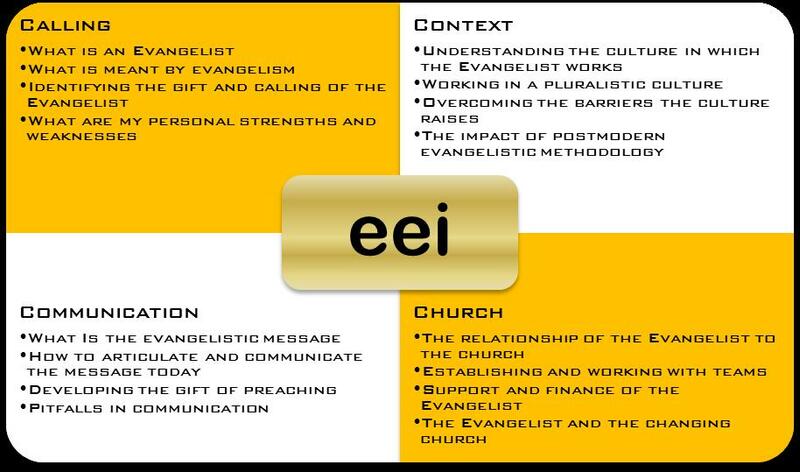 EEI is a two-year training initiative designed to help equip evangelists emerging into a full-time ministry of proclamation evangelism. In partnership with the Billy Graham Evangelistic Association in the UK, the programme consists of a core of four separate residential weekends of training together with additional days, mentoring and opportunities to participate in major evangelistic initiatives. Alongside partners in various countries, K180 has pioneered similar training in several other European countries. Whilst there are many areas of gifting and ability that are an effective part of the task of sharing the Good News of Jesus, the Emerging Evangelists' Institute is designed specifically to develop and equip those called to proclamation evangelism, the speaking and preaching of the gospel whether from the platform, open air, stage, after dinner events etc. EEI is designed to cover four main streams of training which are both theorectical and practical. Each module costs £175 and includes accommodation, meals and all training costs. For more information on how to take part click on the England, Iceland, Spain, Italy, Germany, Scotland or Russia pages.